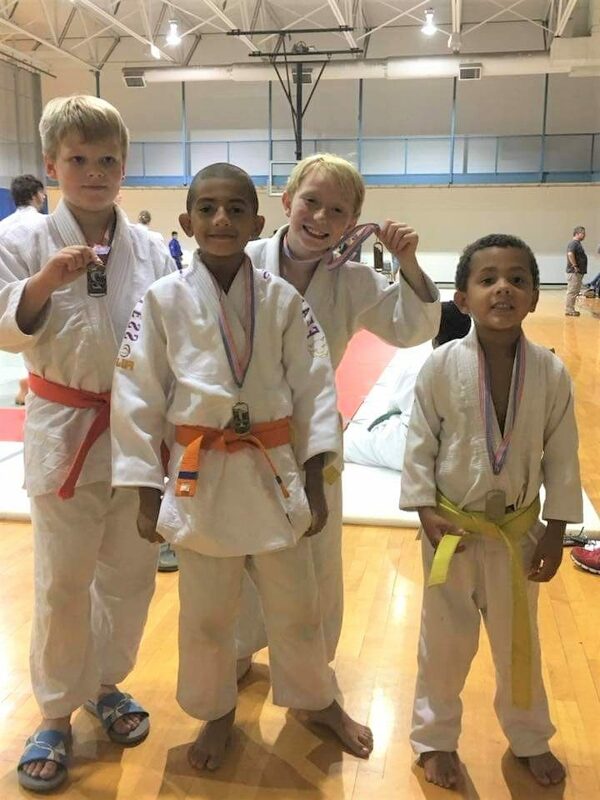 The 7th Annual Gateway Invitational Judo Tournament got underway on October 7, 2017 at the Overland Community Center in Overland, Missouri. 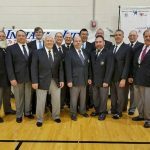 Judokas from all over the Midwest region attended this tournament. 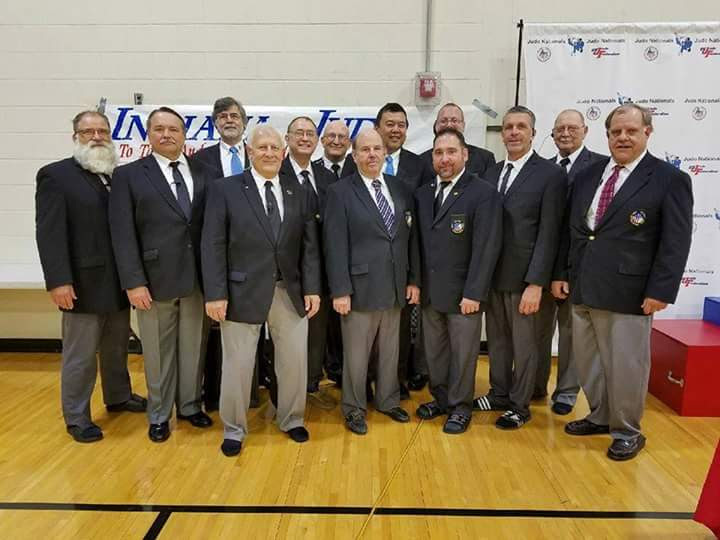 Tournament director and national referee Sensei Derick Wellman worked countless hours with parents and volunteers to make this event happen. The legendary 7th dan Randy Pierce was a part of the quartet of officiators for this event. David Burke was the head coach of Team White Dragon. Team White Dragon had number of new faces to step on the mat for this contest. The rookies came in bunches. In the junior division, Edward Ter-Hovhannisyan made the extra practice payoff winning gold in his division. His brother Mark, took silver in his category. Isabella Ter-Hoyannisyan made the biggest mark of the trio going 4-0 on the day and a gold medal for her efforts. The Hayes quartet made their long-awaited debut an impressive one. Meghan Hayes, the captain of the crew, dominated her weight class and won gold. Ryan Hayes faced formidable opposition but persevered and won silver. Bobby Hayes showed significant promise going undefeated on the day for gold. The youngest sibling, Caitlin Hayes, has only been in judo for 7 month but fought like a caged lion. Consistent attacks from the young judoka got her a silver medal in her weight division. The multi-talented Duffields made their presence known by making a highlight reel of all who opposed them. Big brother Cameron Duffields was in a large division. Cameron hit some nice takedowns and won all of his matches via osaekomi. Avery Duffield was out for RESPECT in his debut. The young judoka/wrestler annihilated his division with good osaekomiwaza. Bella Stephens took silver in her debut at middleweight. Alex Halon went 2-1 and won a respectable silver medal. Trevor Judge collected his second consecutive gold of the year. In the senior category, Byron Helmrich continue to progressively get better. He took a silver in this event. Ryan Morrow won his second consecutive silver of the year. 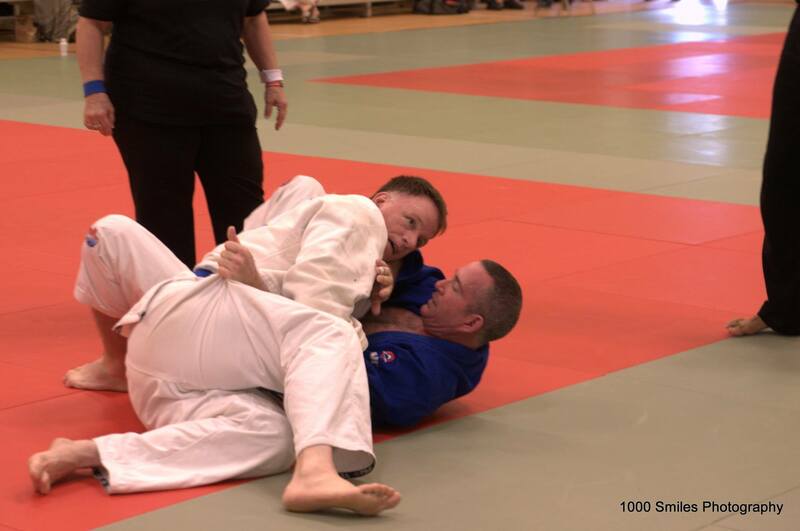 Glenn Trotter had a good day scoring a silver in the veterans division. Anthony Weeks matches were filled with suspense. He was behind in his first match winning it by submission with 4 second left in the contest. Weeks stayed focused against opposition that brought the very best out of him. Anthony won the gold with a tremendous uchimata in the championship match. The MVP of the Tournament was Phillip Vojta. Vojta came in to this tournament on fire. The nikkyu had won his last 6 matches and had won first place in two divisions. The workload did not decrease in this tournament. Vojta was allowed to fight in multiple divisions including the open category. 7 of his 9 matches were won by ippon. Vojta won the open championship with a thunderous seoiotoshi. His opponent never saw it coming. Phillip Vojta also got the Throw of the Tournament and three gold medals to add to his growing judo resume. 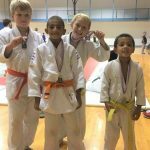 The 2017 AAU Freestyle Judo National Championships took place on September 30, 2017 at Kansas City North Community Center in Kansas City, Missouri. The rules were different in this tournament. The tournament was officiated under the Kodakan Judo rules. Dan Raney was the lone representative for Team White Dragon. The veteran place his stamp on the event by capturing the gold in his category. Raney put on a tremendous display of judo takedowns in his first match winning it by osaekomi. The opposition had no answer for Raney’s setups and superior newaza. It was Raney’s first national championship of his long judo career. Muncie Central High School in Muncie, Indiana was the venue for the 2017 America’s Cup Judo Championships on September 16, 2017. Yondan Derick Wellman helped officiate this tournament. Manareldeen Fajors was the lone representative for Team White Dragon in this event. Fajors went undefeated on the day taking gold in his category. 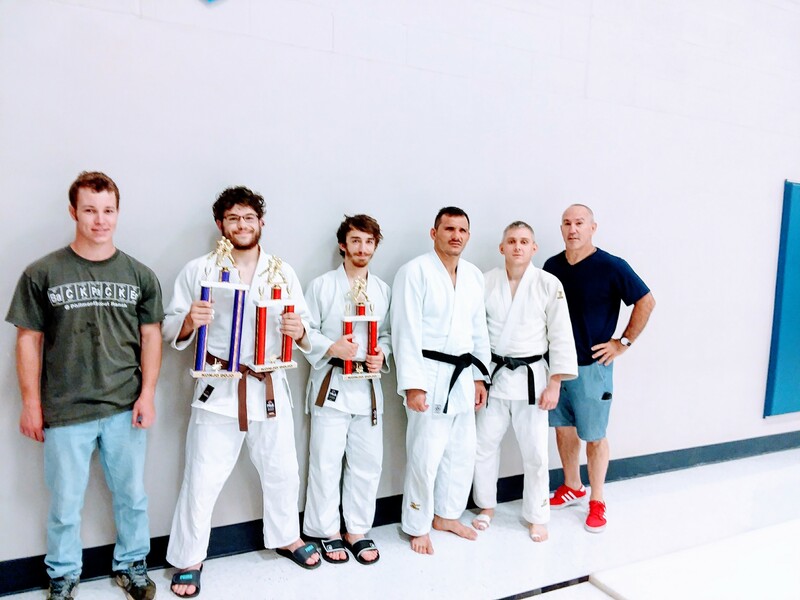 The 2017 Konjo Dojo Fall Judo Championships took place at the Hillsboro Intermediate School in Hillboro, Missouri on September 9, 2017. The legendary Randy Pierce, the creator of this tournament series was the tournament director for this event. The Konjo Fall Championships was officiated by Randy Pierce, Bryan Enlow and Derick Wellman. Head coach David Burke led a young Team White Dragon against formidable opposition. Glenn Trotter took 1st in the veterans division. Adnan Gutic continued his reign of greatness winning first place in his weight class. Sam Coln fought some tough matches and showed significant improvement. Bryan Enlow returned to the mat and fought in the open weight category. Byron Helmrich broke out of his 1st place drought with a first place showing. Helmrich had the Throw of the Tournament executing a thunderous morote seoinage in the 1st place match. Phillip Vojta was the MVP of the Tournament. 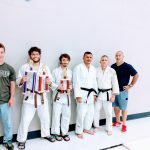 Vojta went undefeated on the day winning his division and the open category.